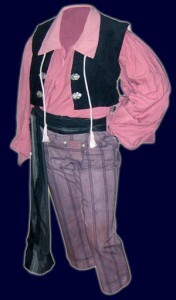 Always on the lookout for more clothing options for the pirate ladies (still the underserved segment of our population), I was excited to check out this blouse and skirt combo from To Be A Pirate.com. 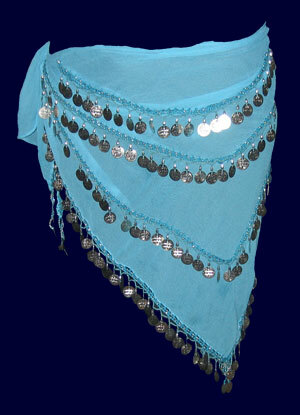 The skirt is their Ashaki, being a basic skirt with a jagged hem and widely adjustable waist (via drawstring.) To enhance the classy roughness of the bottom, it’s actually a double-layered skirt, allowing for a flowing, random look. 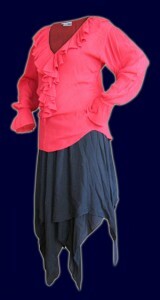 The top is the Barbarossa blouse, with plunging, ruffled neckline and elastic cuffs.